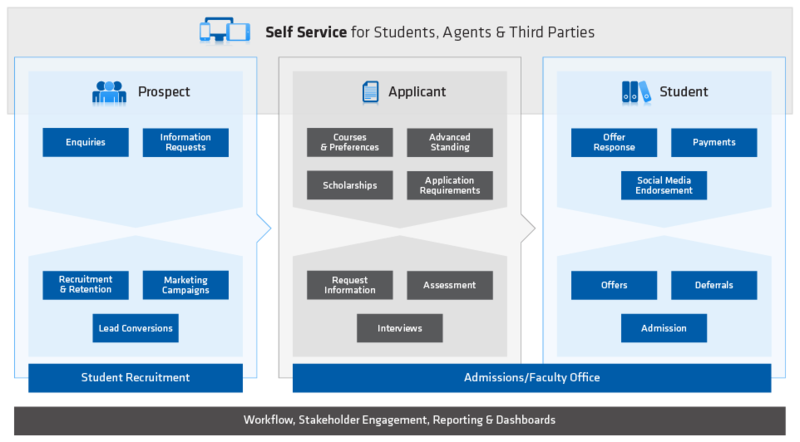 The business environment for education institutions has significantly changed in the last five years, with increasing competition and shifting expectations of prospective students creating new challenges for tertiary admissions systems. TechnologyOne Recruitment & Admissions enables you to maximise engagement with prospective students through self-service interaction with social media and mobile platforms. Automate generation and delivery of offers for faster, more efficient admission processing. Meet the recruitment challenge without having to replace your incumbent student management system.